Banish table linen-staining drips of wine when you pour with this handy little bottle neck collar. 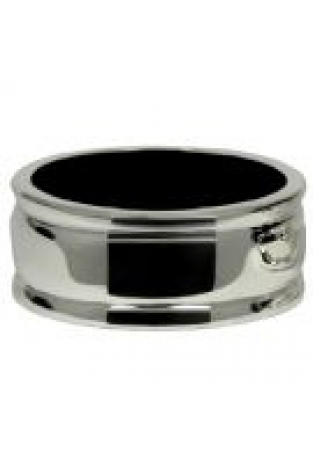 Also called a wine collar, this deluxe silver plated drip ring stops wine running down the side of the bottle onto the label, your table or unfortunate items of clothing. Lined with material in the middle, it simply absorbs the drips and leaves you carefree to enjoy your wine with no messy spillages.